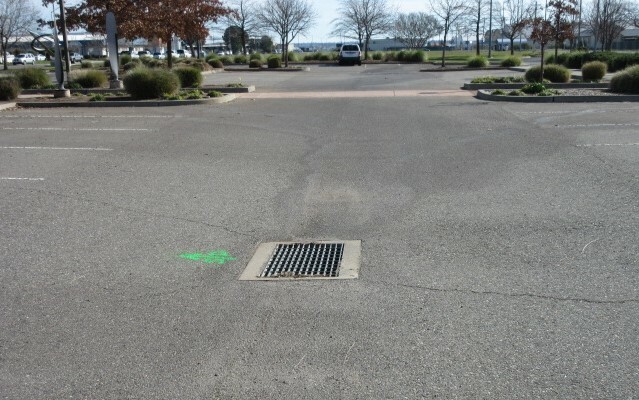 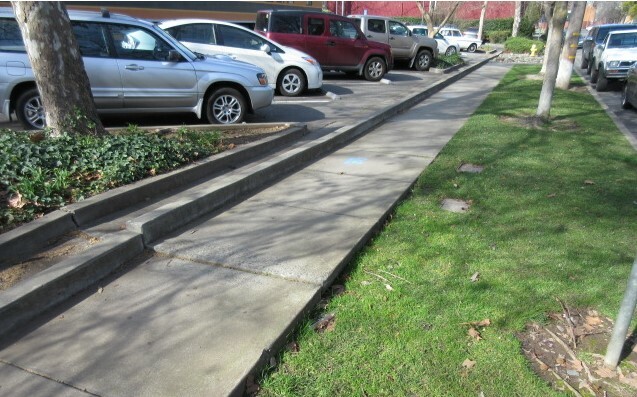 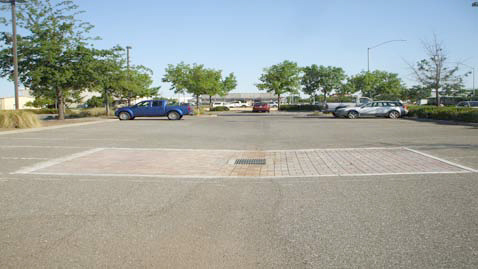 City Municipal Parking Lot #5 was retrofitted to divert flow from the parking lot to landscape areas and onto pervious pavers as well as diverting flow from downspouts to pervious pavers. 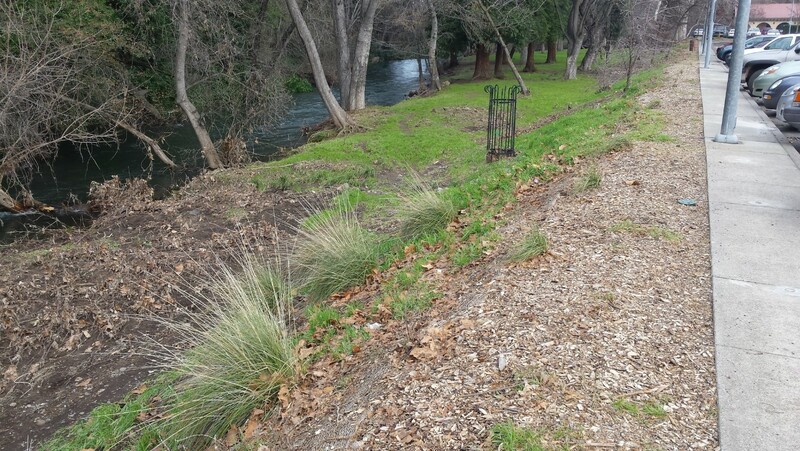 The other aspect of the project was to restore some of the riparian area of Lost Park which lies to the north of the parking lot. 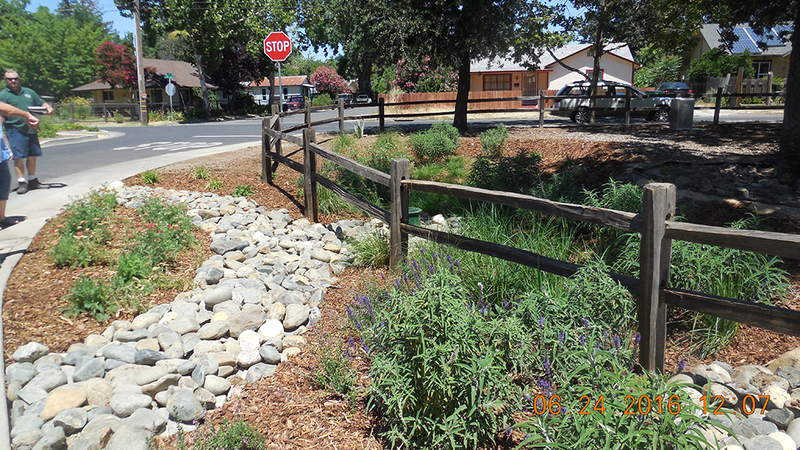 Bioswales, rain gardens, and native grasses and plants were installed in the riparian area to stabilize the bank and reduce erosion. 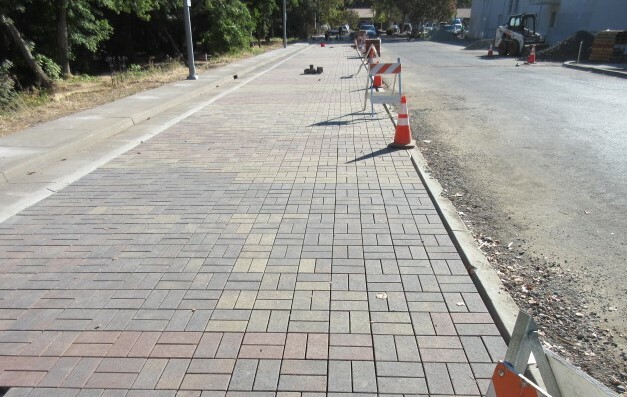 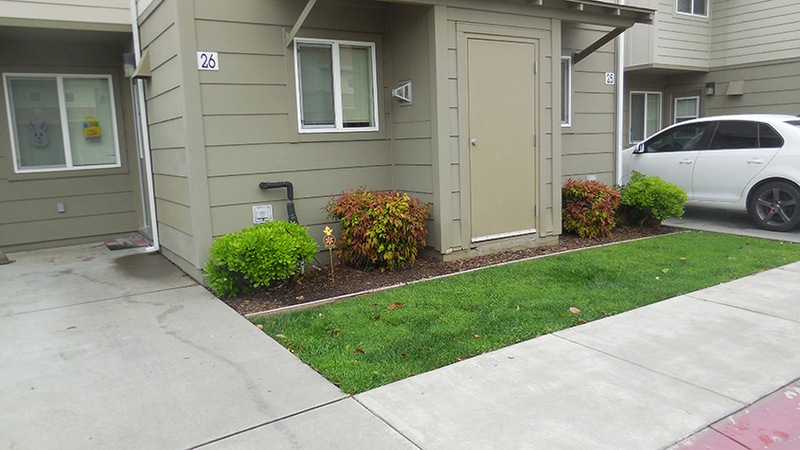 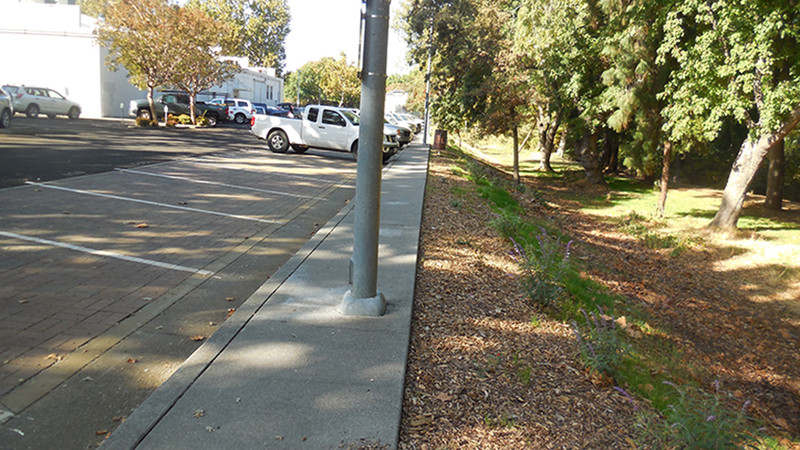 This project involved one project site along Vallombrosa between Crister and Madrone Avenues. 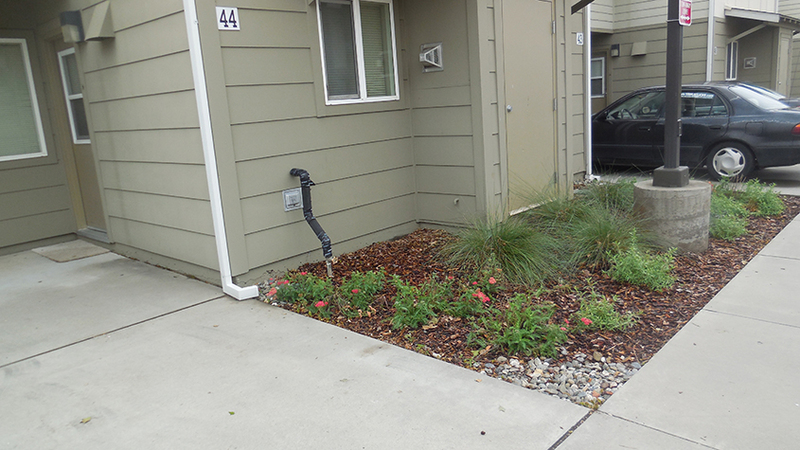 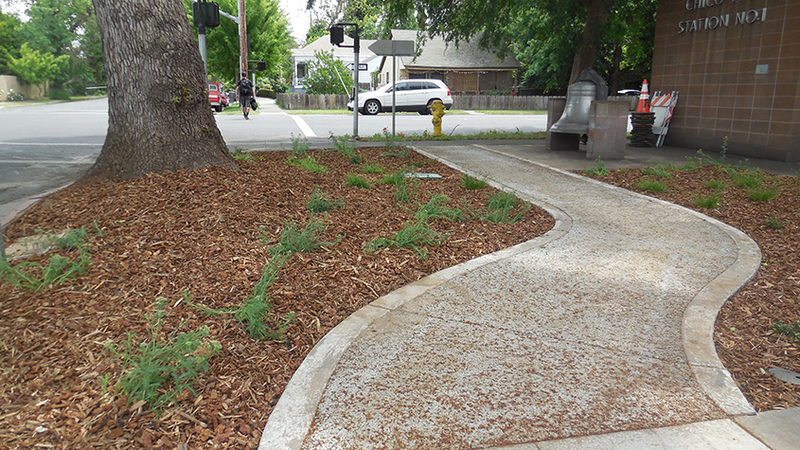 The project included installing a bioswale and 2 vegetated trenches. 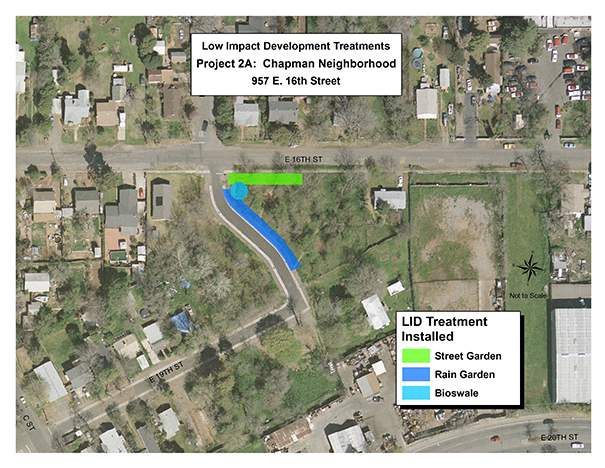 Chapman Neighborhood project involved diverting flows from the street to a rain garden, bioswale, and street garden. 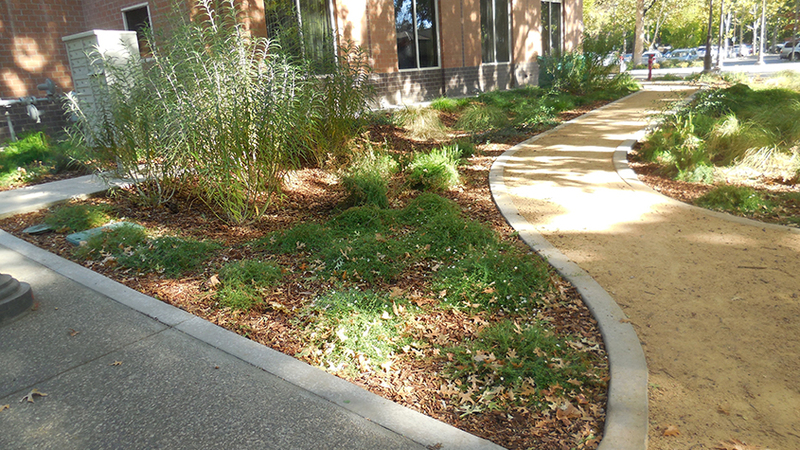 The rain garden and bioswale are located in a community area for the D Street and E. 16th Street neighborhood. 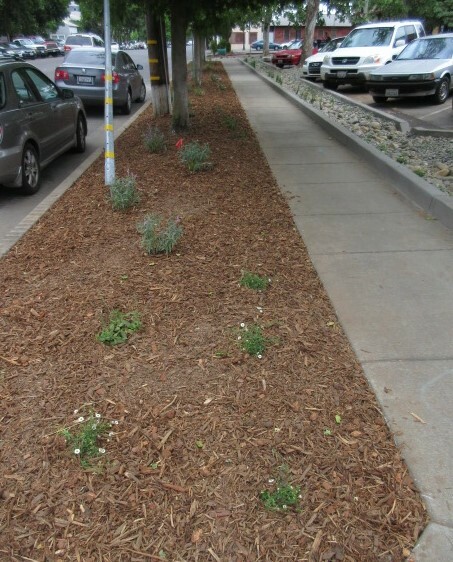 This neighborhood participated in the development of the Chapman Neighborhood project and helps maintain the rain garden, bioswale, and street garden. 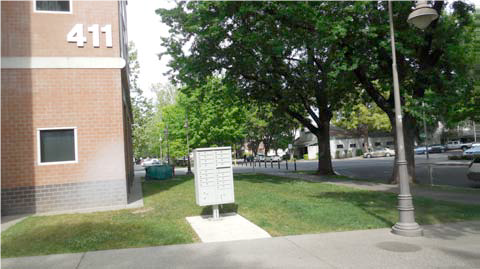 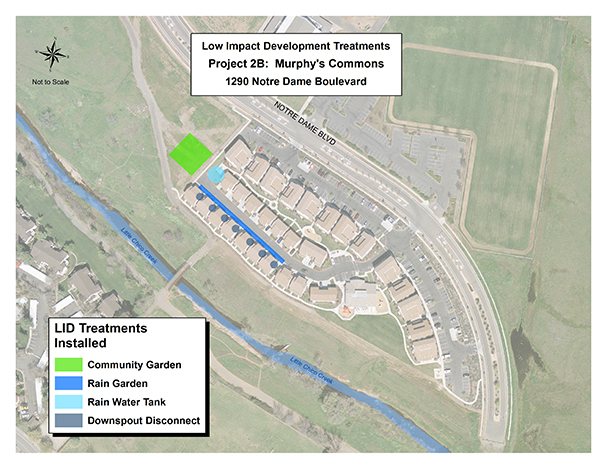 The Murphy Commons project involved diverting storm water by installing downspout disconnects and using storm water by installing a rain water tank (cistern). 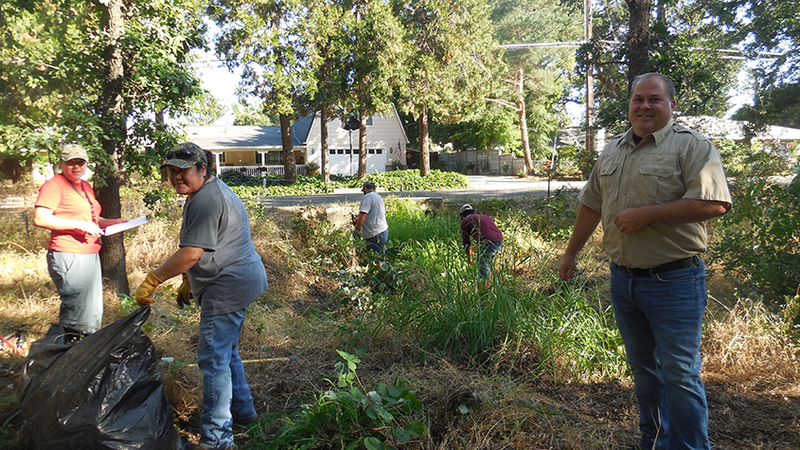 The cistern is used to help water the community garden. 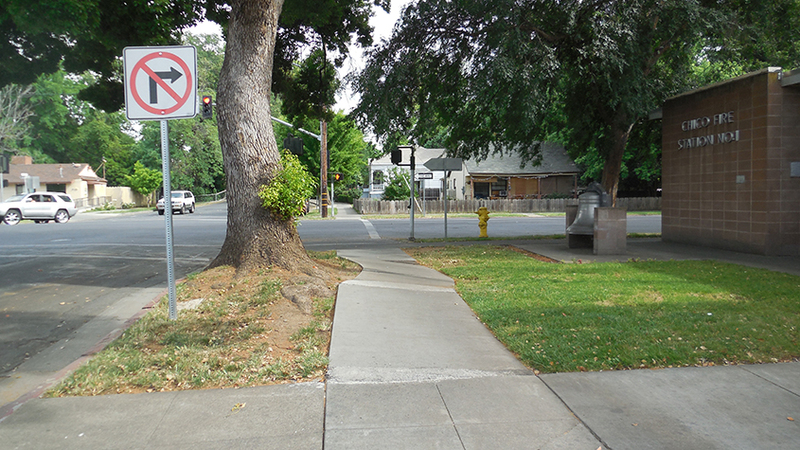 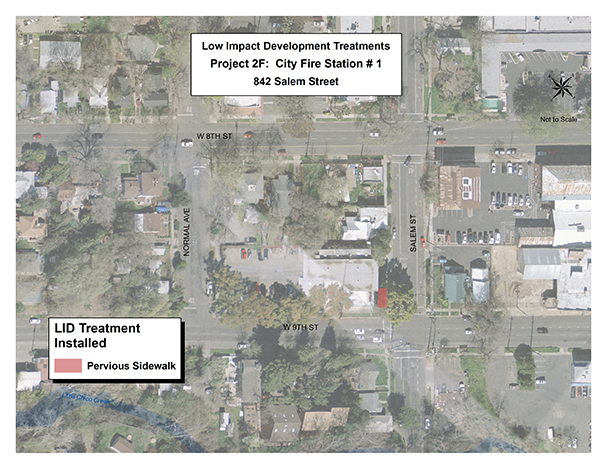 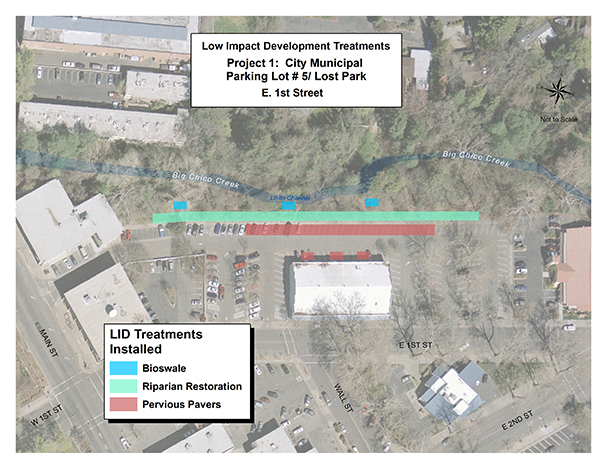 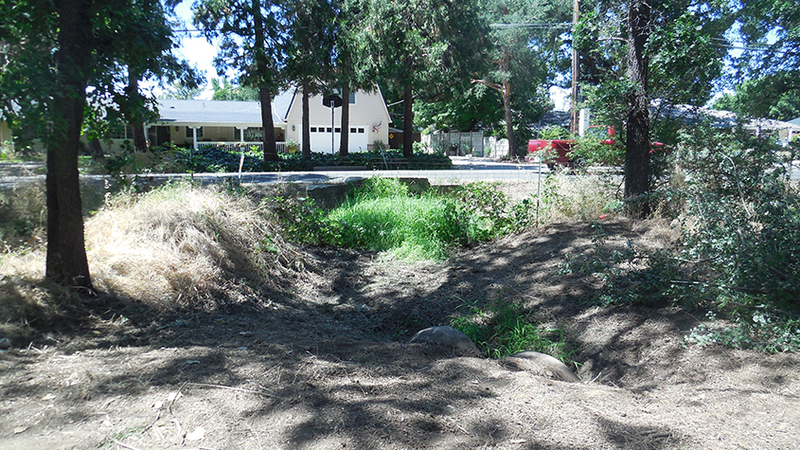 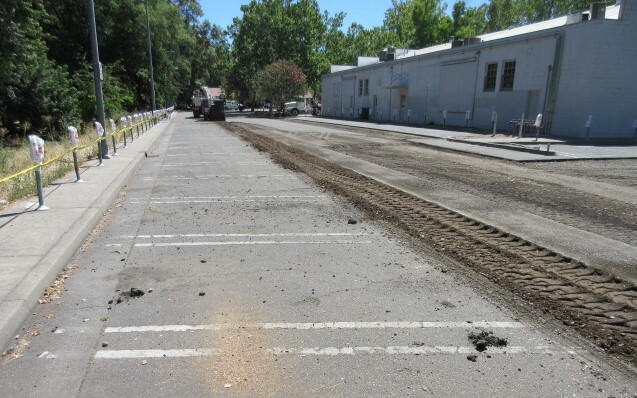 The intent of this project was to improve an existing drainage area along the sections of Bidwell Park along the sections of Bidwell Park along Vallombrosa Avenue between Crister and Madrone Avenues to reduce residential runoff pollution and turbidity generated from this neighborhood from impacting Big Chico creek. 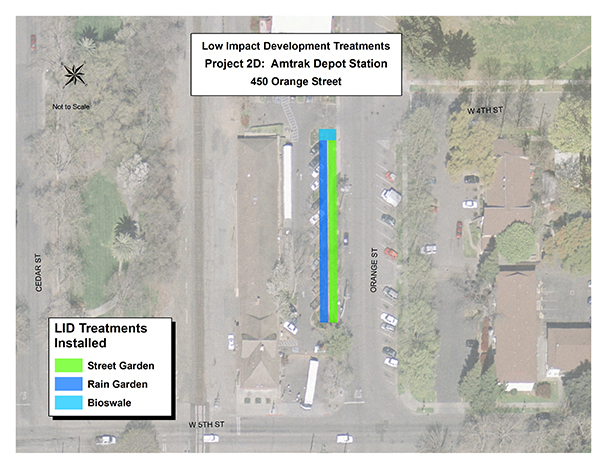 Amtrak Depot Station project involved diverting flows from the parking lot to bioswales, a rain garden, and a street garden. 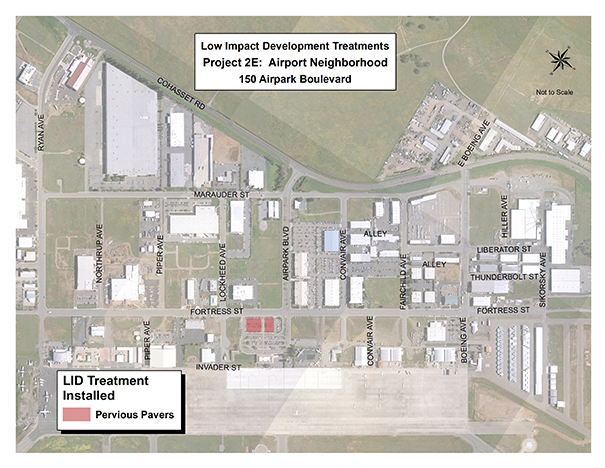 The Airport Neighborhood project involved diverting storm water from the parking lot to pervious pavers. 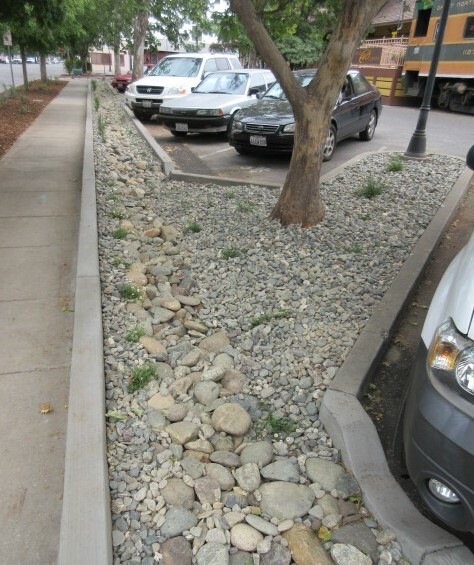 The City Fire Station #1 project involved diverting storm water from impervious concrete to pervious sidewalk and converting turf to a rain garden. 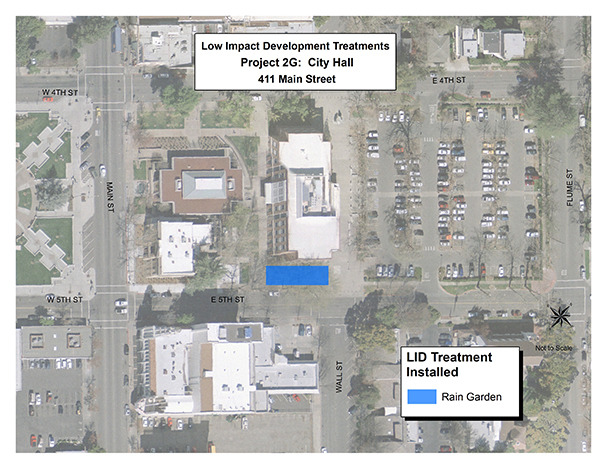 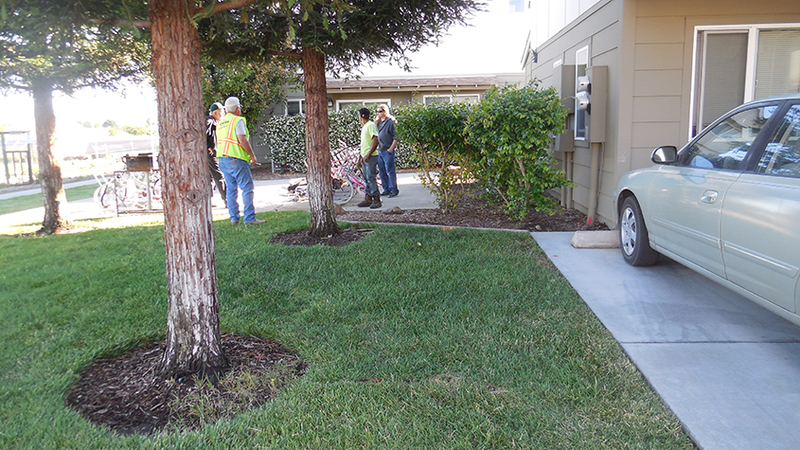 The City Hall project involved constructing a demonstration rain garden that included a decomposed granite walkway. 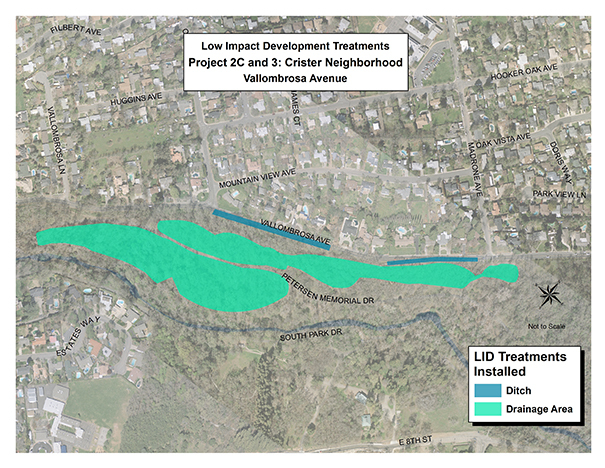 Funding for these projects were provided in full or in part through the Safe Drinking Water, Water Quality and Supply, Flood Control, River and Coastal Protection Bond Act of 2006 (Prop. 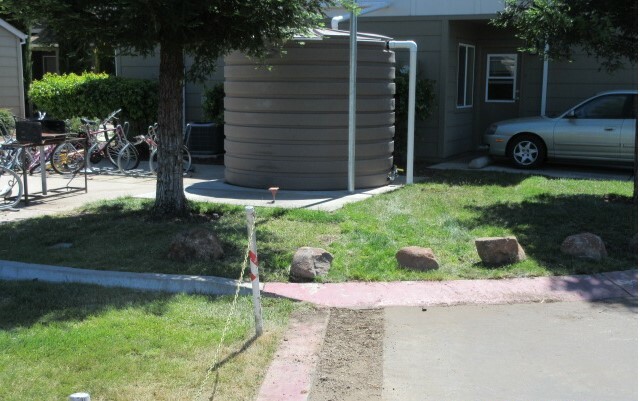 84), an agreement with the State Water Resources Control Board.